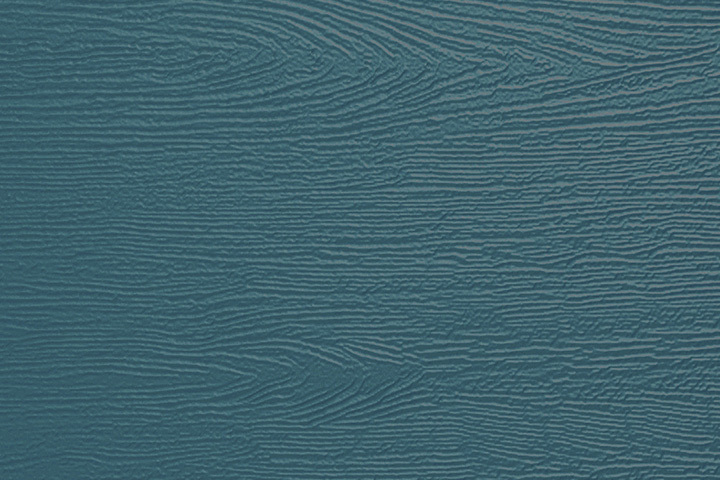 The Edinburgh is a great alternative to the classic Victorian four panel style of our Ludlow door. With its two elongated glazed units, it creates a decorative and delicate panel that will allow an abundance of light into your home. 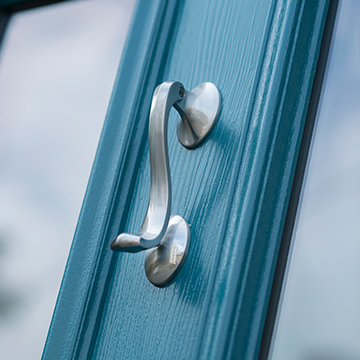 To keep it classic choose black with London Etch Border Glass and traditional door furniture, or give it a modern twist and opt for a bold palette like Peacock Blue and contrasting Irish Oak frame to really add the WOW factor. Peacock Blue is a beautiful blue with a delicious dash of green. Whilst a bold choice, this colour is said to represent growth, strength and spirit. For those of you looking to stand out and make a statement, this is the perfect colour choice for you. We’ve put together some suggestions to help you create an Edinburgh door that captures the imagination. 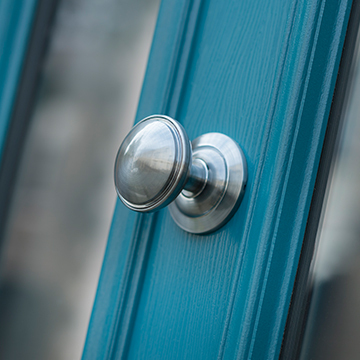 The modern brushed chrome door furniture against the bold Peacock Blue accentuates the luxurious feel of the door and further enhances the WOW factor. 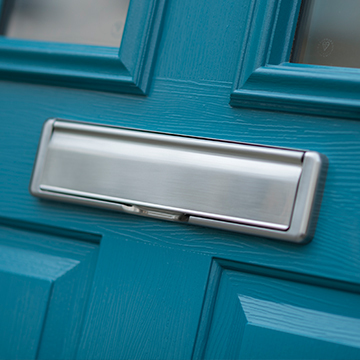 Our elegantly styled chrome door knocker is the perfect accompaniment to the Edinburgh door and brilliantly complements the intense Peacock Blue finish. It’s bold, beautiful and will be sure to catch the eye of neighbours and those passing by. There is no need to add planters to frame the entrance, just let the door do the talking!